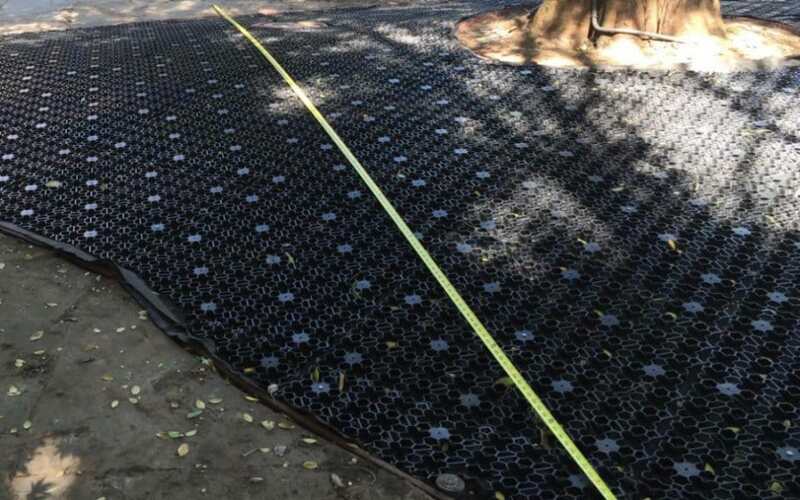 NexGen Lawns installed artificial grass in those hard to maintain smaller landscaped areas with specialized air panels through AirField Systems. The AirDrain panels provide an extra one inch of air which allows for a vertical and horizontal drainage unmatched in the industry. Infill migration is a thing of the past! AirDrain is perfect around trees and landscape, instead of a gravel base. Allowing the trees surroundings to remain untouched. 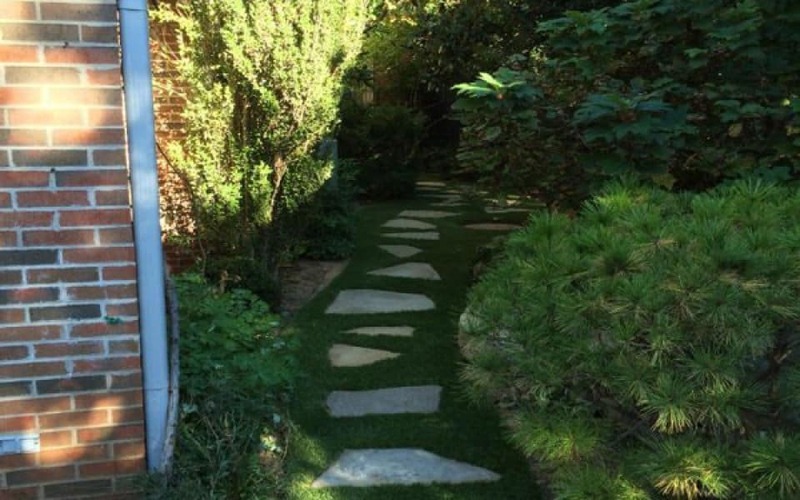 And what if you decide to remove the artificial turf, no digging out a gravel base of any kind. Just remove the grid, you’re done! The AirDrain panel is able to tolerate the harsh heat and bitter cold which classifies it as a “NoBreak” plastic. The specialized air panels install into place faster than gravel giving you that synthetic grass to enjoy sooner and year round. Once the air panels were installed and the synthetic grass was laid the only thing left to do was to take pleasure into looking at the new artificial grass in Nichols Hills, Oklahoma. 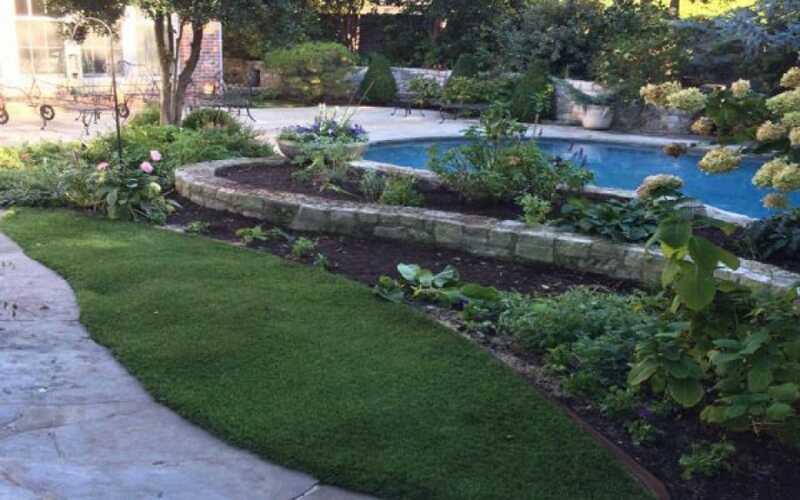 The synthetic grass was able to eliminate backyard mowing in those hard to reach places around pavers, swimming pool, and landscaped islands. With synthetic grass you can enjoy your exquisite backyard year long, and reduce your time watering (which includes your water bill as well) and mowing to relax and take in the outdoors. If you’re ready to let NexGen Lawns use their novel technological advancements to ensure your lawn, sports field, or swimming pool surround looks exquisite year round – please give NexGen Lawns a call today! 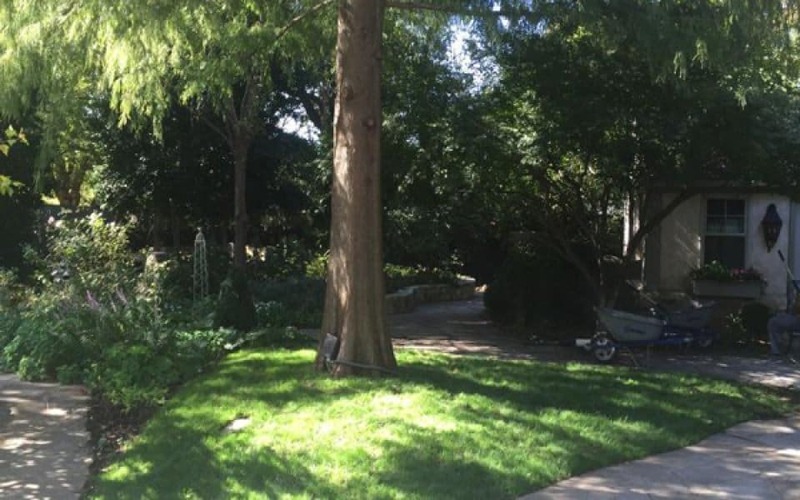 One of our representatives will be happy to assist you in your next outdoor transformation. Our Tulsa office phone number is 918-671-8428 or Oklahoma City location at 405-683-1313. You can also email us anytime with our online form. Remember to ask for a free no-cost obligatory quote. A NexGen Lawns representative can assist you with which artificial grass or artificial turf will work best for your next new and fresh idea for your lawn or business. 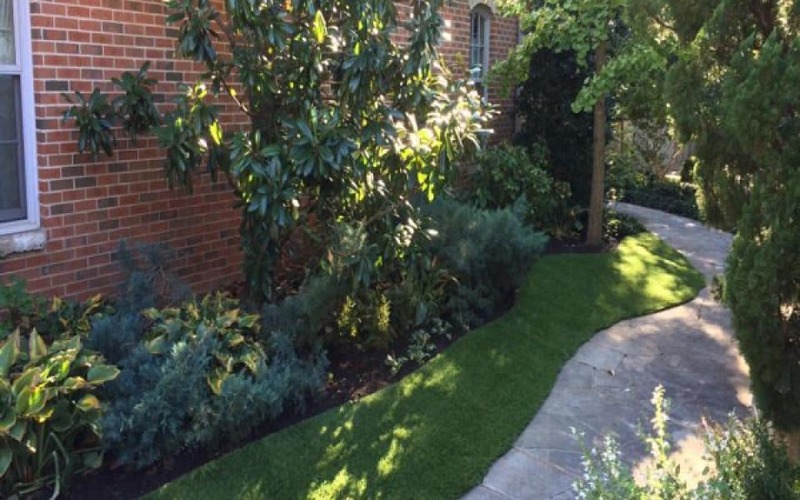 We look forward to hearing from you and assisting you with all your artificial grass or artificial turf needs.